I did not work for Merchandise Transport when it became embroiled in High Court actions regarding its vehicle licensing so I have compiled this article from reports in “Commercial Motor” Magazine of the period. If anyone has first hand knowledge of this saga their comments are more than welcome. The following is a very simplified retelling of the story gleaned from Twenty A4 sheets of information supplied to me by Mustafa Suleman. Nowadays all road transport operations above a certain weight require an Operators Licence. Basically this is granted if the operator can prove that they can maintain their vehicles, operate within the law, have suitable premises and sufficient finance. A very different system existed until the 1970’s when Road Transport was controlled by the 1933 Road and Rail Traffic Act. Under this act goods vehicle were operated under A, B and C licences. 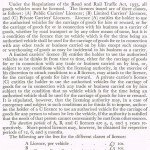 A licences were for hire and reward operations and C licences, like the modern restricted O licence, were for own account operators. A licences were only granted if a need for them could be proved and existing operators did not oppose them. Until 1949 Harris Lebus had hired transport to deliver their goods. They had not been wholly satisfied with the service provided by B.T.C. (British Transport Commission operating the nationalised BRS fleet) and started buying their own vehicles and eventually dispensed with the B.T.C vehicles. 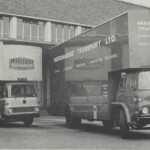 In 1955 Harris Lebus formed a subsidiary company, Merchandise Transport, and applied to run vehicles on special A licences. Initially they had five Albion lorries and they stated that these would be used on long distance deliveries and to collect return loads. At that time Harris Lebus was running 160 vans on C-licences. This appears to have continued with no problems until 5th February 1960 when Merchandise Transport applied to transfer 126 C-licensed Harris Lebus vans to themselves and run them on A-licences. This would have allowed them to use all the Merchandise transport fleet to carry and deliver anybodies goods and to collect any return loads. There were 62 objectors to this application. These were established haulage contractors who claimed that they would be subject to unfair competition from Merchandise Transport. At the hearing in June the licensing authority reserved his decision and in July he announced that he was refusing the application. Merchandise Transport appealed to the Transport Tribunal and in November the decision of the Licensing Authority was overturned and the tribunal referred the matter back to the Licensing Authority for further consideration of details. Before he could deal with the matter the Road Haulage Association stepped in and appealed successfully to the Tribunal for a stay of execution pending an appeal to the High Court. The hearing opened with the Counsel for the British Transport Commission, Mr E S Fay. Q.C, who also represented Sixty haulage companies, claiming that the outcome of the case “would alter the character of a large proportion of the country’s haulage industry”. He claimed that the Licensing Authority had to consider the public interest in making his decision and that the Tribunal had wrongly exercised it’s discretion in overturning that decision. He claimed that the grant of A-licences meant that 119 vans would be ‘let loose’ throughout the country to carry return loads to London to the detriment of his clients who could lose business to Merchandise Transport. He said that Licensing Authority’s finding that Harris Lebus merely wanted to use Merchandise Transport to carry their goods was ?less than genuine? and that they actually wanted to increase their capacity for return loads. This, he said, was not in the public interest. 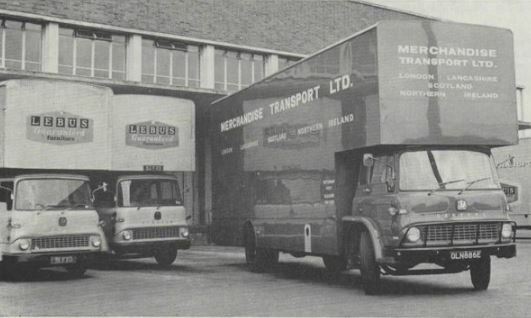 Merchandise Transport had stated that their intention had been to form a single A-licensed fleet to serve the extensive transport needs of Harris Lebus. The case in the Court of Appeal lasted for 8 days. Lord Justice Devlin said that what Harris Lebus were attempting to do could, if done by others, wreck the whole licensing system. The arguments continued on one side that Merchandise transport carrying return loads was no threat to any one and on the other side that the application was just a devious way of getting around the A ? licensing regulations. During final submissions, Lord Justice Sellers said there might be some halfway point between the two parties. Perhaps an undertaking from Merchandise Transport not to collect return loads where transport facilities were already adequate. Counsel for the appellants reiterated that there should be no picking up anywhere. 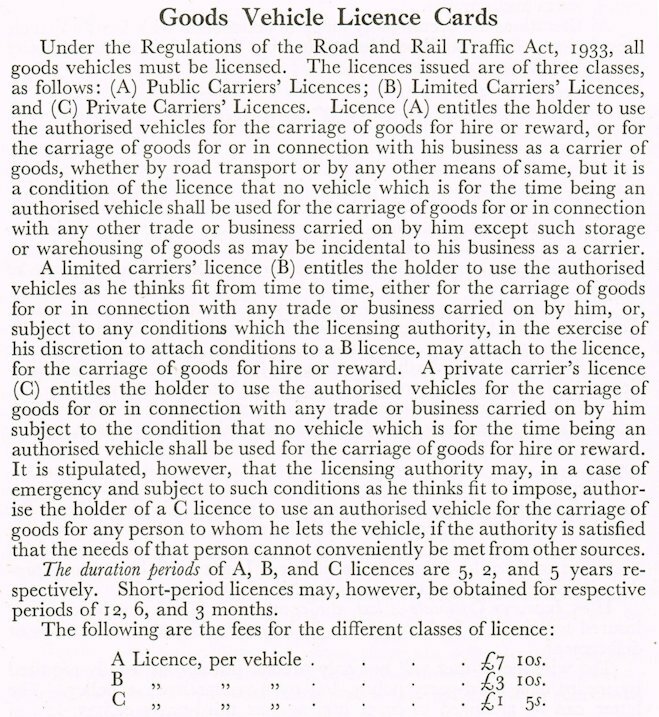 The appeal court finally found in favour of Merchandise Transport but eventually the new Transport Act which replaced A, B & C licensing with O – licensing allowed anyone with an Operators licence to carry anything anywhere. The long drawn out saga must have been incredibly expensive and ultimately unnecessary but without it the push to replace the outdated licensing system might never have happened. Hi Malcolm I was with Mercandise or Merch as we knew it with in that time span, if you reply we might be able to work out the time frame. I did know quite a few of the new drivers such as myself but I cannot put a face to your name. I await with interest regards Michael Parsons. H Michael I worked in the office as a administrative officer at Mercandise Transport for Fred Forrest from ; 15th March 1961- 7th June 1969 looking after all the operations of the Fleet of vans sometimes driving them and helping with deliveries outward and organising the return loads pick ups. one of the drivers i remember was Roy Carter who used to travel to Larne with a trailer with household furniture. Hi Malcom, I hope that all is well with you and yours, I have not heard from Mustafa for quite a while now although I have sent him some photographs of the Glasgow warehouse diorama that I put together for him to put on his Lebus site when he is ready. I have built Tottenham loading bays,Glasgow warehouse and Shap on the A6 going up to Scotland with 13 lorries and one bus in Mercandise/Lebus colours and 6 D H Transport vehicles which are scattered over the three dioramas. Was you the young guy that used to come down to the Lebus gate office several times a day with instructions from Percy Mounteer, there is a photo graph on the site with four of the Scotch drivers and Bill Death taken at the gate office with if you are that guy you are in the photograph then I did meet you. I do remember Roy Carter he either had a TK unit or a Bedford S type unit in grey doing Preston docks or as you say Larne on the Irish. I have put all this info on Mustafa’s site as one day nothing will be remembered and Lebus will be but a distant memory. I would imagine that most of the drivers like Kit King,Terry Cornell,Sid Smith and many others that I have already named in past articles have gone by now.I now live in Canada now but I do still remember the old days from 1957 until 2007 with good memories when I was on the road my email is parsons_michael@hotmail.com if you should want to reply regards Michael.